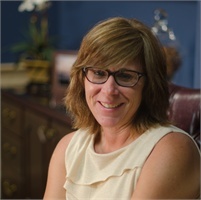 Originally from Long Island New York, JoAnne moved to Florida in 1989. She joined Anchor Group in 2009 as Bill’s personal assistant. JoAnne has her Bachelors in Business Management & Supervision. She holds her Series 6 license as well as Life Health and Variable Annuity. She has two children, Shaun and McKenzie. In her free time, JoAnne enjoys playing golf, going to the beach, and spending quality time with her children.